Top View. 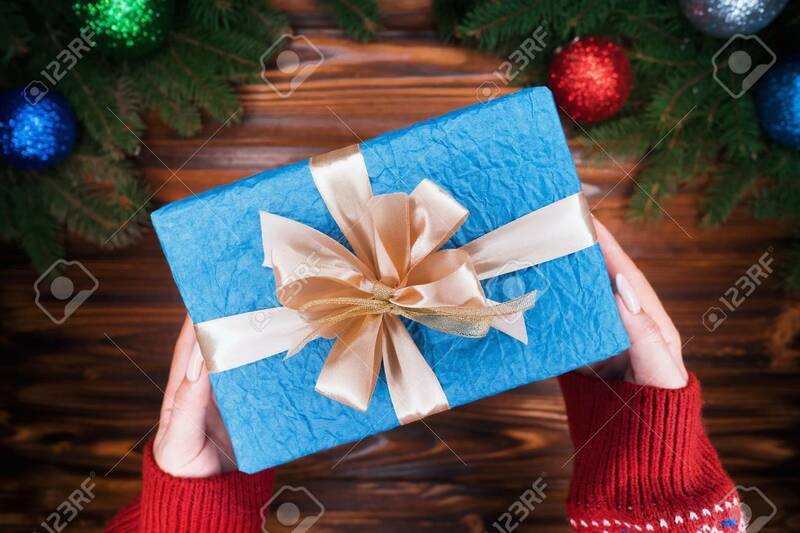 Womans Hands With Gift Wrapped In Blue Paper With Golden Ribbon. Wooden Vintage Table. Beautiful Holidays Background With Green Spruce Branches Decorated Christmas Balls Foto Royalty Free, Gravuras, Imagens E Banco De Fotografias. Image 113085730.